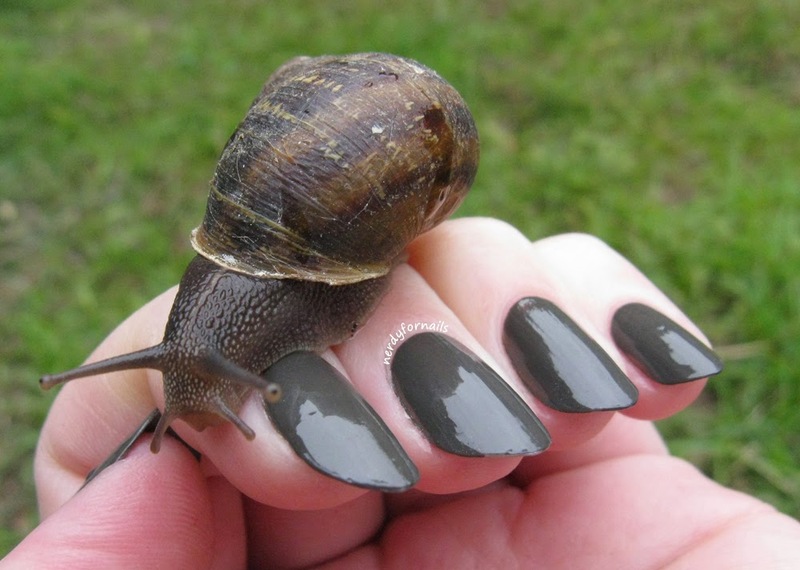 I have one more manicure for my nubbins series. I loved this one so much I couldn't choose just one photo. It deserved its own post. Mattifying flakies does something magical. I don't know if it's the background color or the matte top coat, but these pictures really captured the orange to green shift. 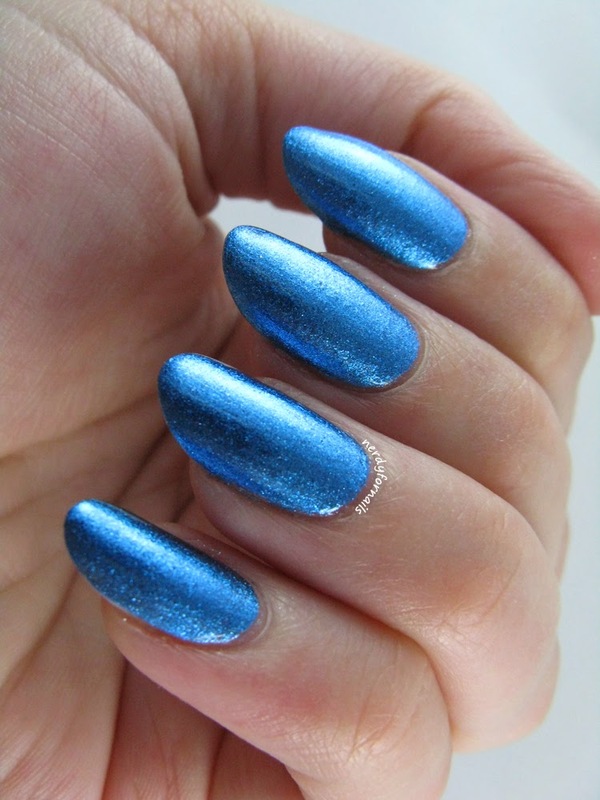 This is two coats of Sinful Colors, Endless Blue with 2 coats of Color Club, Snow Flakes. This flakey polish is very similar to Essie, Shine of the Times and Finger Paints, Flashy which doesn't help anyone at all, because I think all three of these are now discontinued. Ugh.. flakies, I love you so much! Why do you have to be so hard to find? I finished it all off with a coat of Wet n Wild Matte Top Coat. 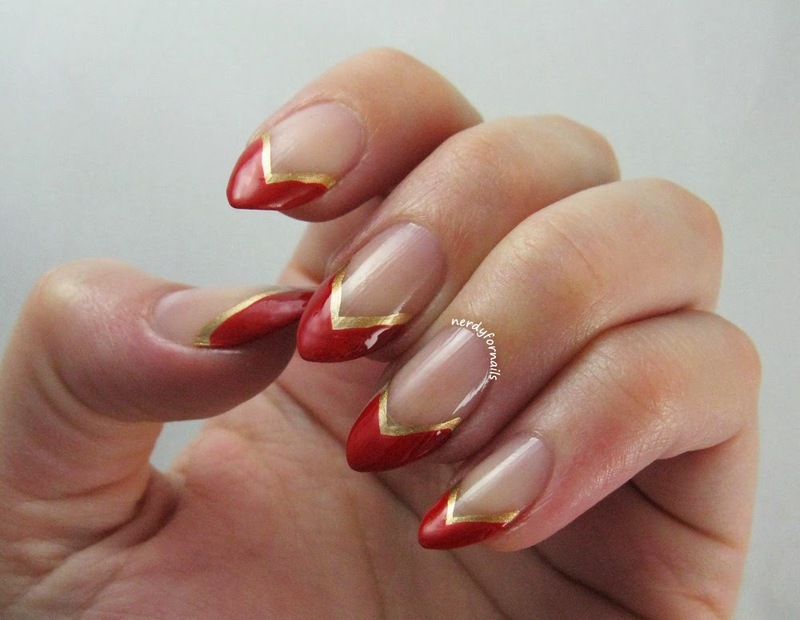 This is one of those manicures I could wear over and over. I'm so addicted to the bright colors and shift. Yesterday was my two year bloggaversary. I'm not really great about celebrating these things and I almost thought about putting together something a little more special for the occasion, but looking back at the nubbin-rific, poorly cleaned-up atrocities that were my first posts this is totally fitting. Over the summer I had a pretty bad break on my middle finger. I wouldn't say I was devastated, but "pretty sad" might accurately describe my feelings. 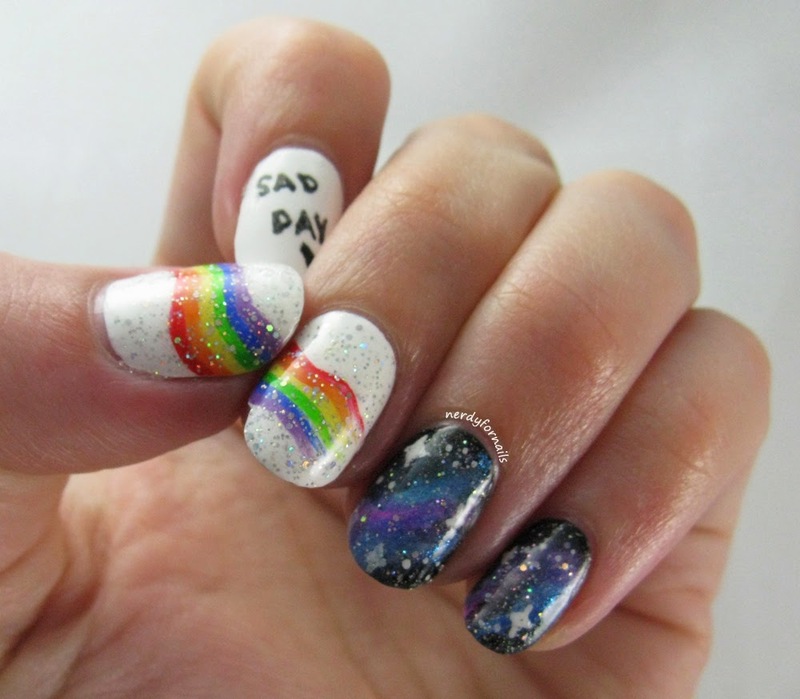 The first and only thing I could do was paint a jokey rainbow and galaxy manicure entitled "Sad Day" with an arrow pointing to the worst part of the breakage. I've collected all my nubbins pictures here in one post, because nubbins need love too after all. I definitely wasn't going to stop painting my nails waiting for them to grow out. I have nothing against nubbins in general. It's just that I've kept my nails long for such a long time that I'm used to that look on myself so anything else feels weird. The other thing I think nubbins need is dark colors. The bolder shades help my little nails stand out more. Above I've swatched two coats of NYC, Manhattan. It's a rich plum hued vampy polish that had a decent formula without too much bleeding into the cuticles. That's my pet peeve with this type of shade- it can be a pain to clean up. I like the formula better on this polish than I do a very similar OPI that I have in my collection. Yay for the budget polish! 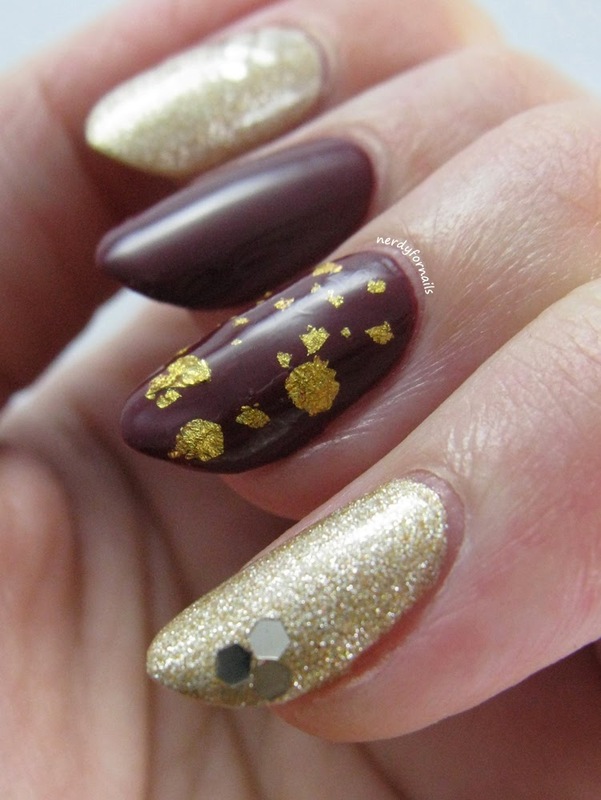 Below I have black nails with a some different kinds of flakies. I used LA Colors, Broken Hearted which has the bigger shards and small holographic glitter. I also threw on some Finger Paints flakies from the Kaleidoscope Collection. Sorry, I can't remember which one exactly- probably Abstract Attraction. I think I see a hint of purple in some of the flakey bits. For my last nubicure I tried the Quatrefoil technique following this tutorial by CristabellNails. It's really hard to get everything spaced out correctly! I'm sure it didn't help that my nubby nail was significantly shorter than the others. I love the look of this though. I really should try it again now that my nails are all the same length again. I used Essie, Chinchilly for the base and Ulta, Moody Blues for my accents. It didn't take too long at all to get back to normal. 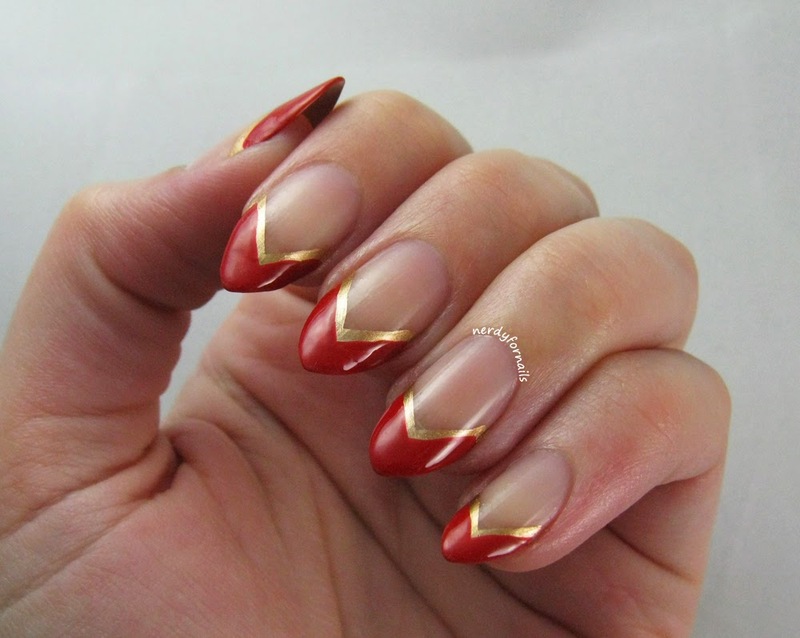 A lot of the intermediate length nails already got posted so now I'm back to super long like magic. I've been posting a ton of stuff out of order this year. Sorry (not sorry)! At the two year mark I can look back and say I almost always post what I want, when I want and that keeps me happy. I really enjoy this little blog and don't want to burn out. Thank you so much to all of you who have stayed with me and helped to share my nail obsession! I've made some really great friends and been enabled to buy more pretties than I know what to do with sometimes. Here's to another year of whatever shaped nails happen to come my way. Now that Christmas is officially over and done with lets all rush on to the next big thing: New Years! One of my favorite things of the new year is Pantone's choosing of Color of the Year. I've been obsessed with color ever since I was old enough to discover the beautiful world of Rainbow Bright. As a kid my parents always had to wrestle me away from the paint chips at the hardware store.. no, apparently those weren't there for me to take one of each every time we went down that aisle. This year's color is Marsala- a rich earthy red wine shade. I immediately thought of Haze of Love by Wet n Wild. 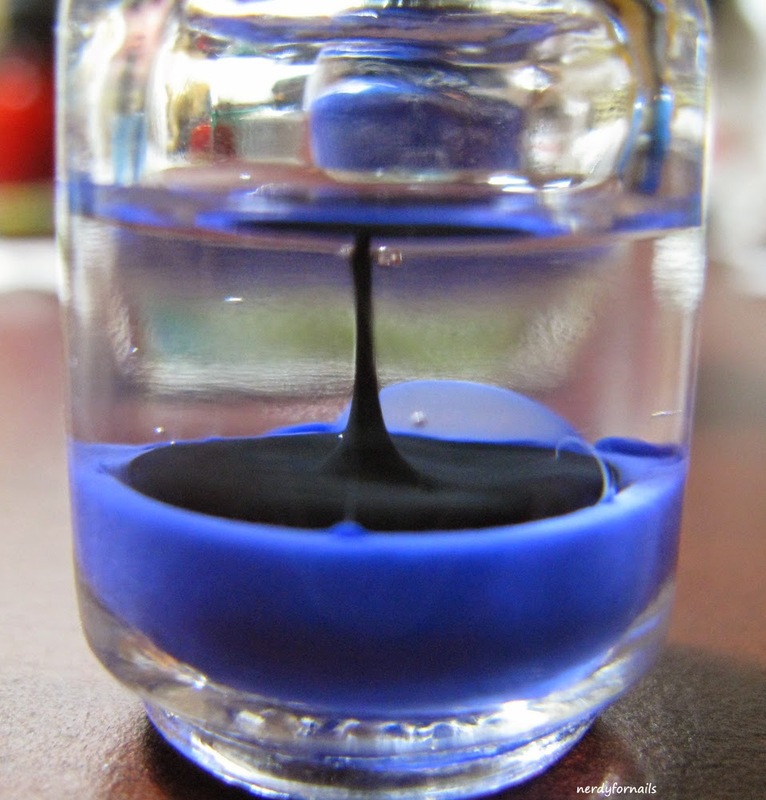 The color looks very Marsala in the bottle, but on the nail it tends to darken up unless viewing in bright light. Still, an excellent option for the price. 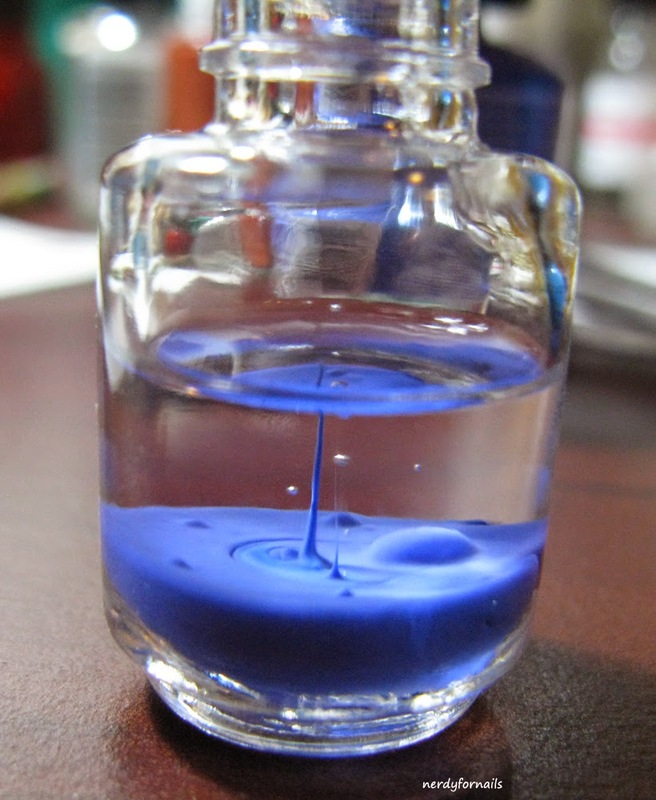 If you'd like to read more about this color and how it was chosen check out the Pantone site. 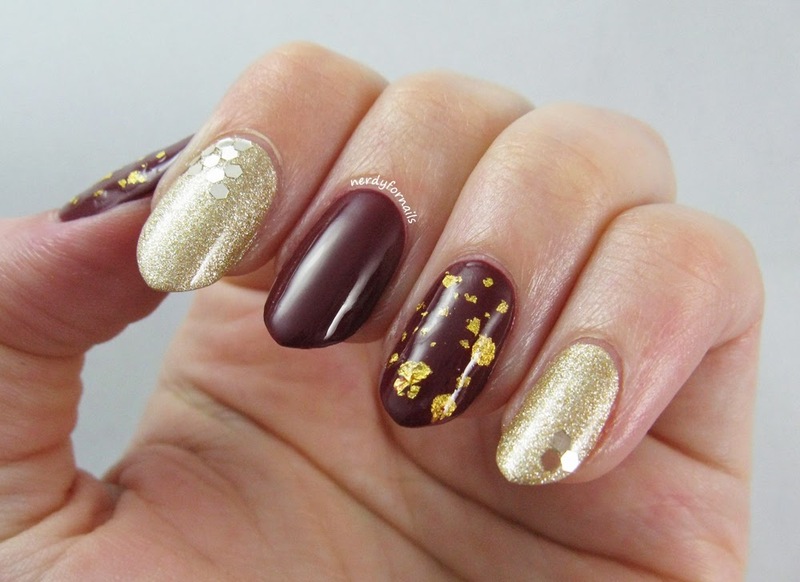 I paired my Marsala with gold for a luxurious look. I used OPI's Love.Angel.Music.Baby for the gold nails, topped with loose glitter from Born Pretty placed in triangle shapes on the pinkie and index fingers. 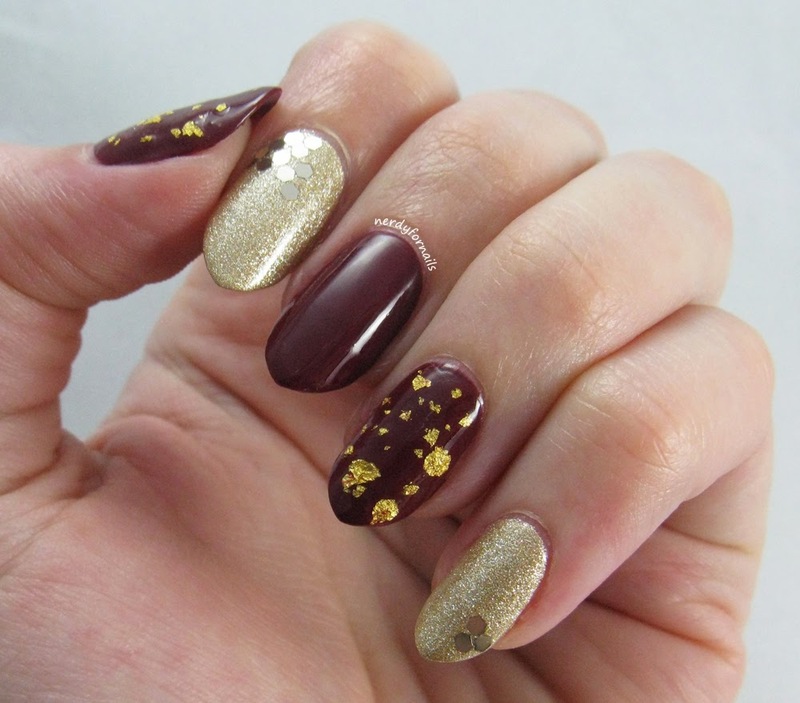 On my other accent nails I used 24k Gold from Mentality which is real gold leaf flakes in a clear base. I used a toothpick to fish out and place bigger chunks of gold leaf for more dense coverage. So far I've heard really mixed feelings about the color for 2015. I happen to be leaning firmly into the love it camp. How do you feel about this one? Bah! Humbug! I'm not quite Grinch status yet, but Christmas makes me crazy! I'm decidedly not a Christmas person. I really really hate Christmas music. I hate the crowds at the stores. I don't even like egg nog that much and I'm allergic to Christmas trees. You see how this whole holiday isn't working out too well for me? I'd be more than happy just to skip ahead to the day after when everything is calm. 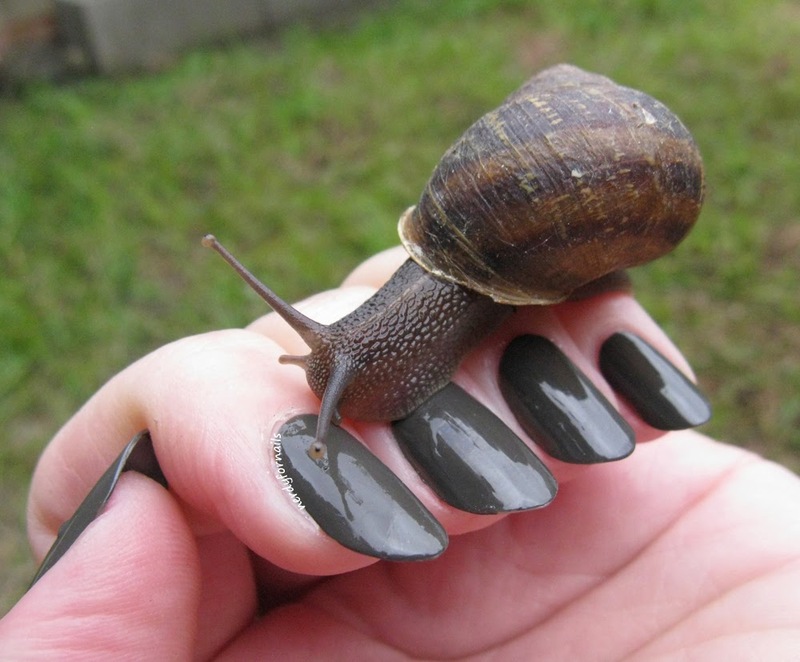 I've painted some nails to capture the anti-Christmas sentiment that I always end up feeling this time of year. It's not all bad though. I am looking forward to spending some time with my family and eating a ton of delicious food. A holiday that requires this much baking can't be all bad. 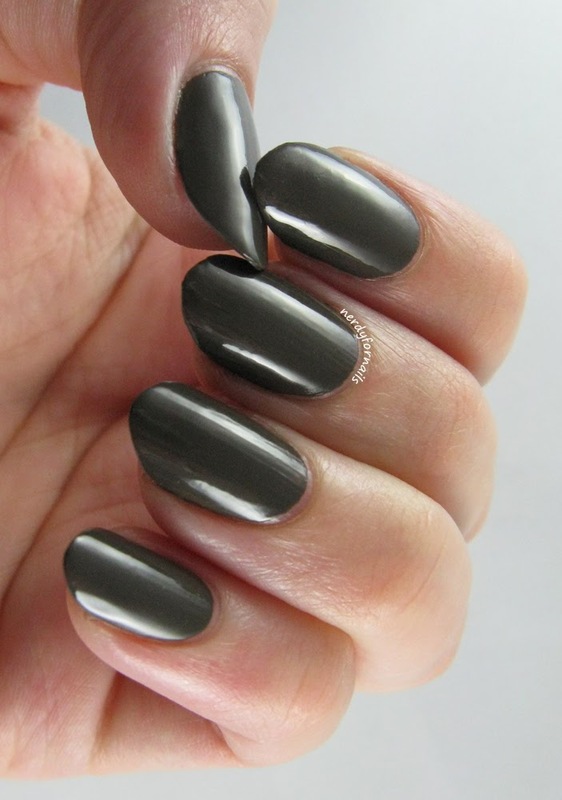 For my matte nails I've used OPI, 4 In The Morning (a matte polish from the Gwen Stefani collection). 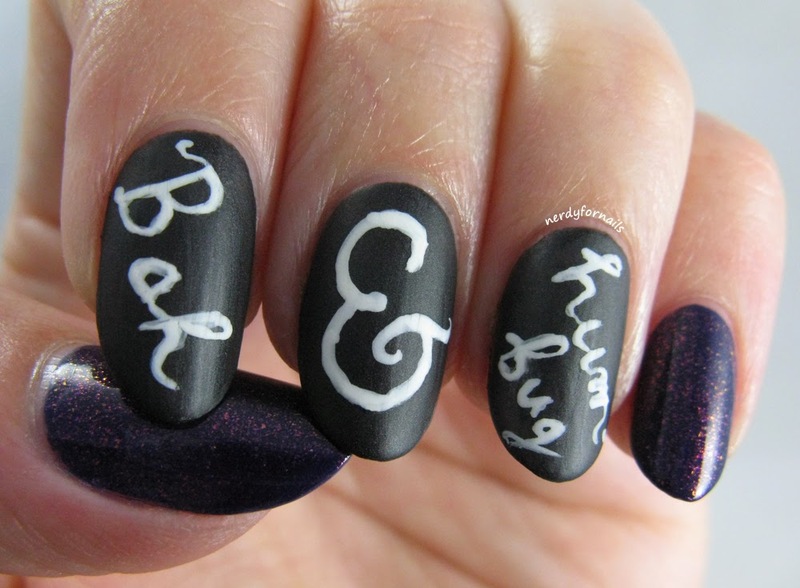 I used acrylic paint for the lettering and topped it off with Wet n Wild Matte Top Coat. 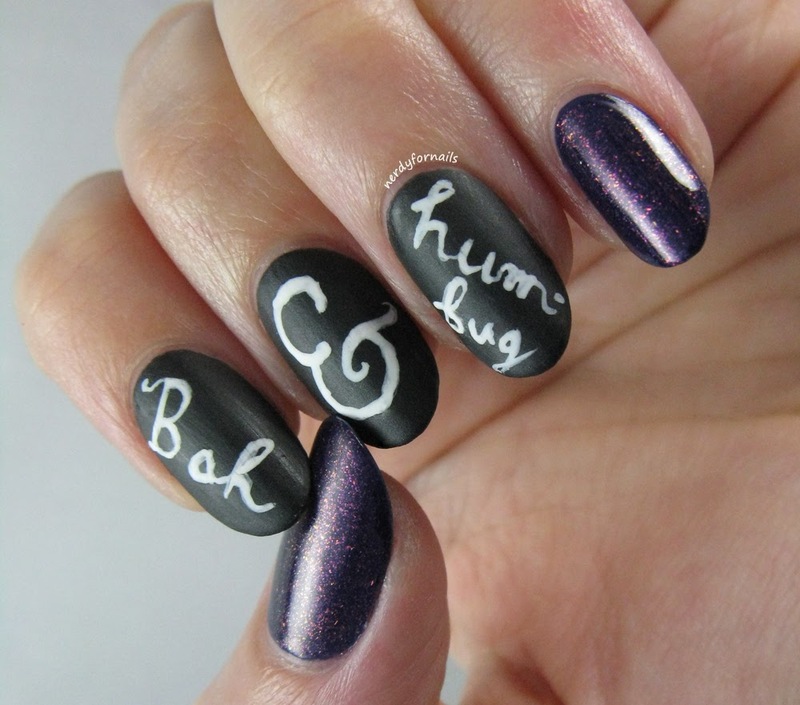 The purple nails are one coat of China Glaze, Queen B and two coats of Milani, Totally Cool. Happy Birthday to me today! I can't believe I'm 32 already. When I was a kid I totally thought I'd have this life stuff figured out by now. At least one thing is turning out well- I always have awesome nails. If I could only get one thing about adulthood right I'm glad it's this. For my birthday I wanted to paint something that would make me happy. 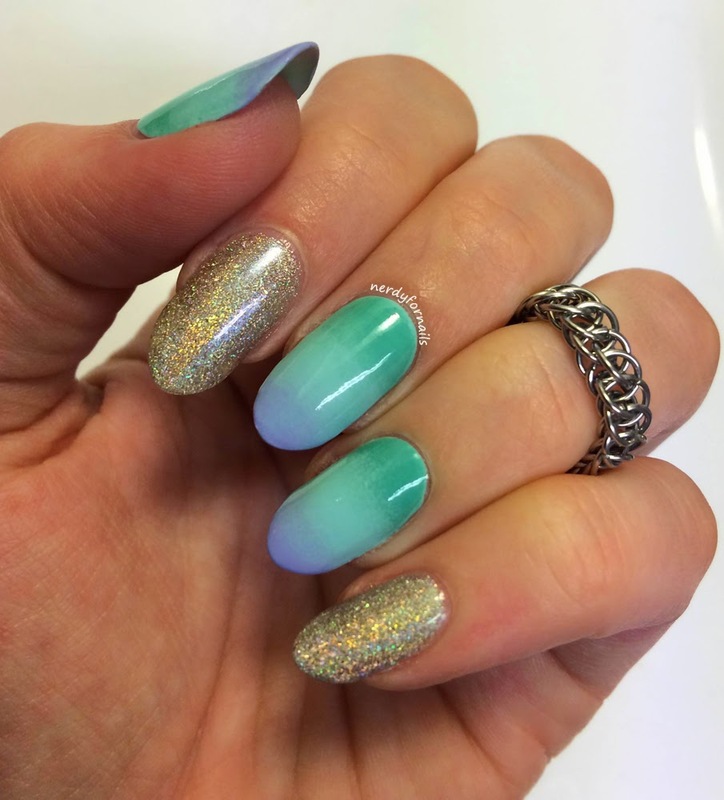 Screw you holidays, I'm taking a break to do these very spring-like pastel gradient nails, and because I'm lazy and didn't want to work too hard on my birthday here are also some holo nails. 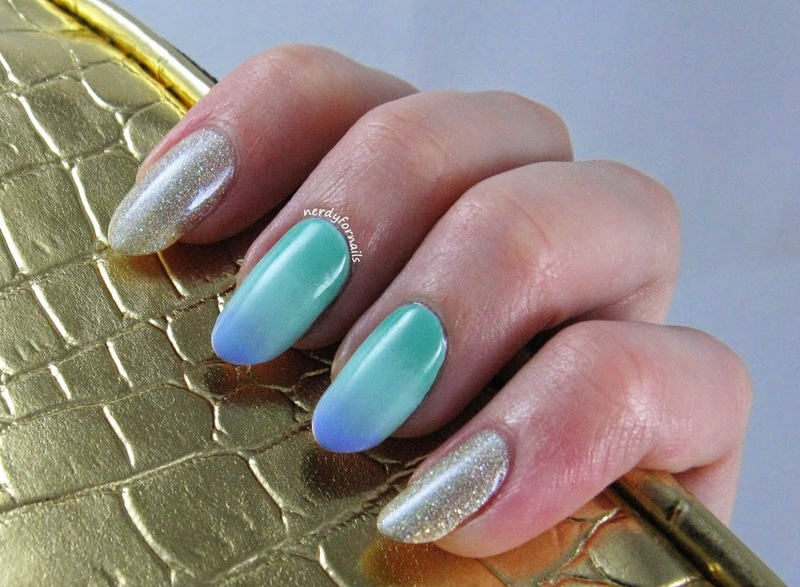 This holo polish is Milani 3D Holographic- HD. The pictures I took in my light box with my fancy camera don't really show off the holo to its full potential. The picture above was taken in my kitchen with the stove as the background using my iPhone camera. Who would have guessed it'd be the most holo-tastic picture? 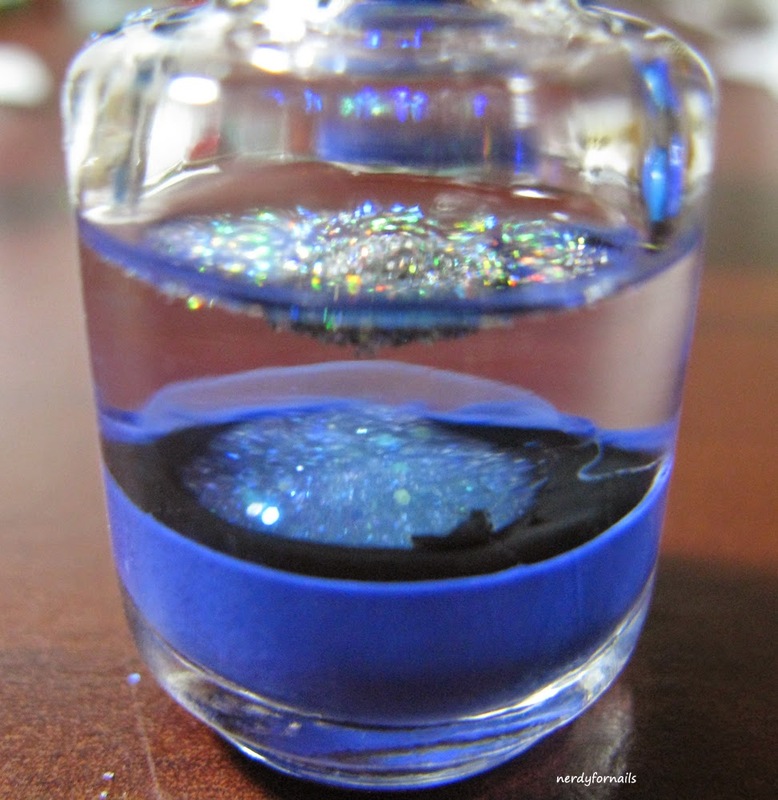 HD is a scattered holo with chunky (but very smooth) particles in a clear base. It looks gold and silver at the same time depending on the light and angle. This is probably the most unique holo polish I own. It took 4 coats to build it up, but it has an awesome depth and rainbows that you can see much better in person than I was able to capture on film. 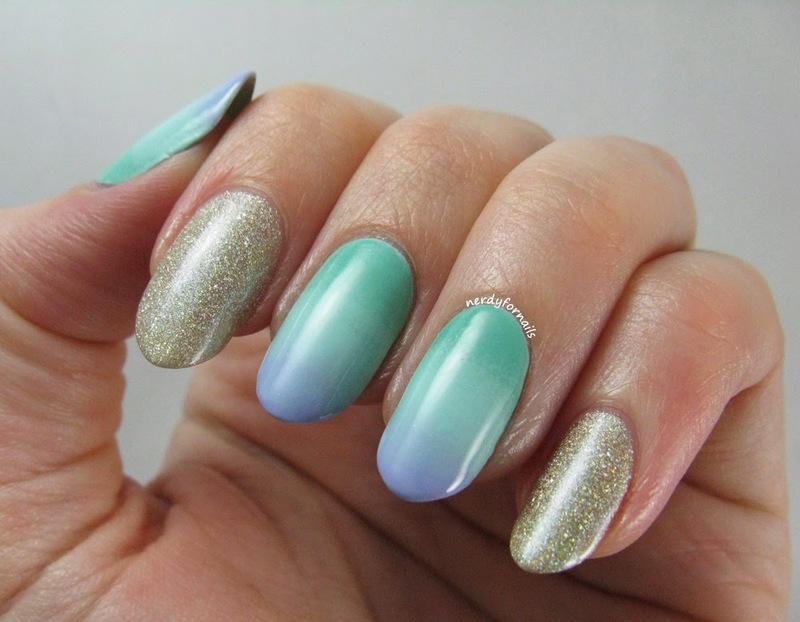 For my gradient I used Sinful Colors- Candy Coated (lavender), Spoiled- Mar-zi-panna (blue), and Ulta- Mint Condition. I started with two coats of Mar-zi-panna and then brushed all three colors onto a makeup sponge and rolled it over the nail to create the gradient. This dress from Victoria's Secret was my gradient inspiration. I saw it over the summer and it was way too expensive to risk ordering it and then looking exactly 0% like a VS model in it. But guess what?? If I ever change my mind I can still order it on eBay. Only $80-$200 depending on the listing! I think I'll stick to wearing it on my nails only. I've been busy frankening some polishes to give as Christmas gifts. This bottle looked so interesting as I was mixing that I couldn't resist taking some pictures. And also because it's Christmas and I'm frankening I absolutely must find a way to work in a Franken-sense pun. Usually I start with a colored polish, but I started this bottle about half full of top coat. 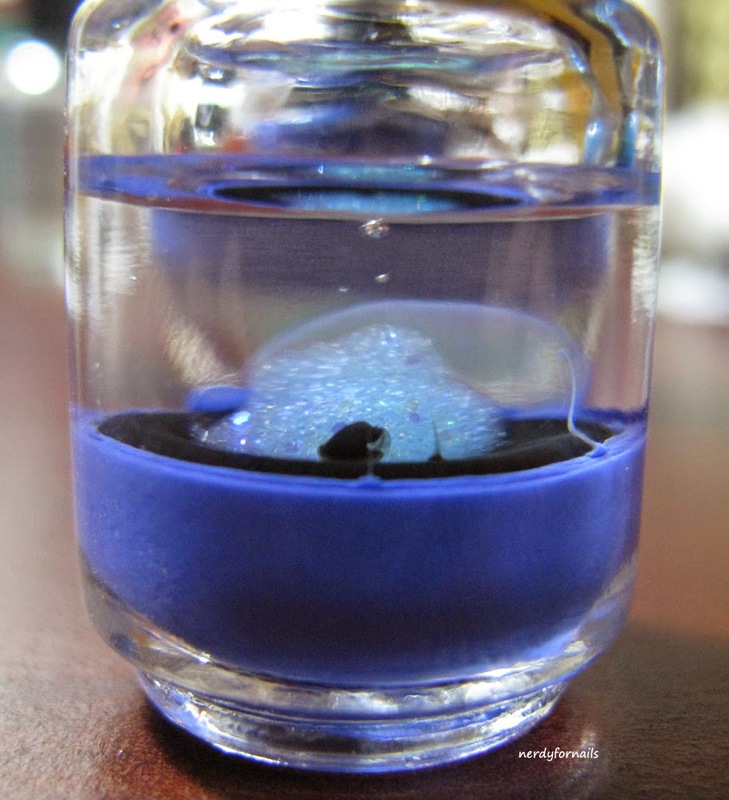 The other polishes were heavier and sank giving it this neat lava lamp effect. 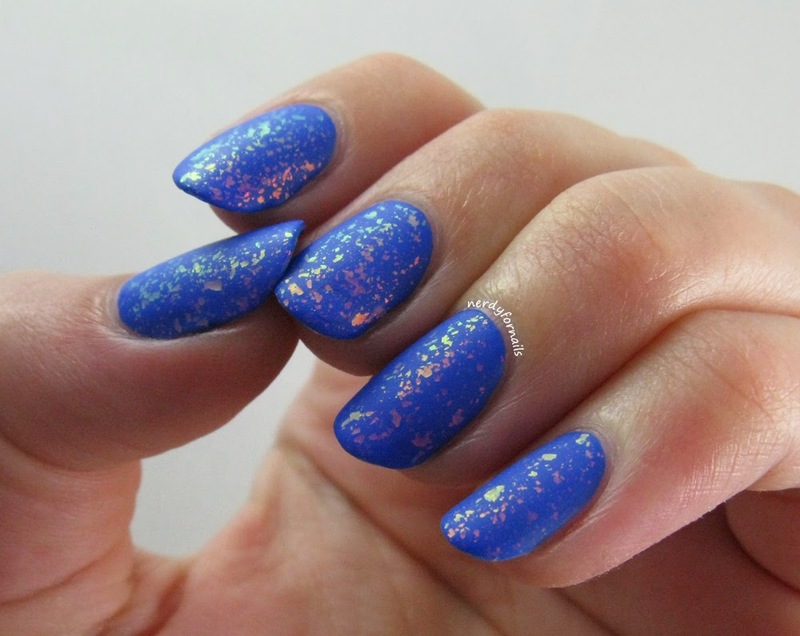 The glitter polish above globbed up and didn't spread out like the blue and black did. Below I've added some Fantasy Makers Confetti (holo glitter) which just sat on top of the polish until I shook it all up. I mixed in a few more things after the glitter, but I won't show the finished product and spoil the surprise since Christmas is still coming. 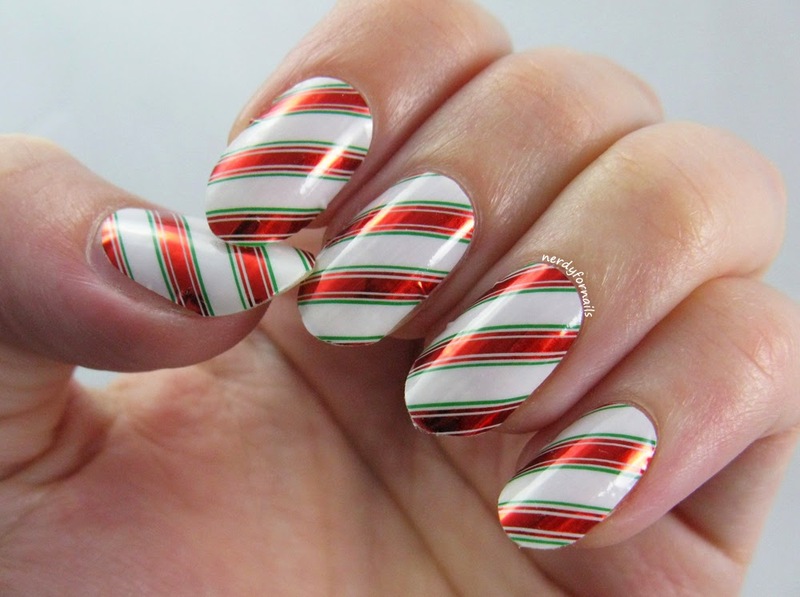 Candy cane nails! I guess this means it's officially Christmas time. 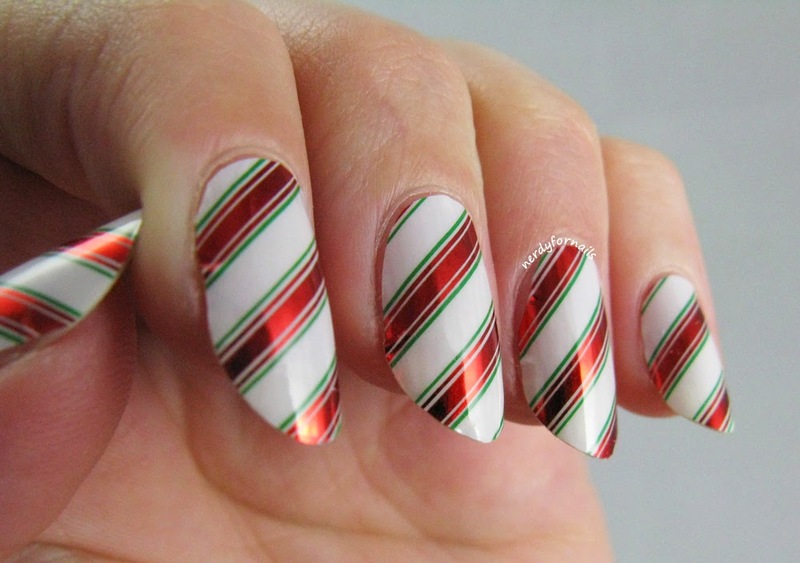 Recently in one of the Facebook groups I frequent, Krystal of Polish Galore, was offering the chance to try some Minx nail wraps through Beauty Collection. I have very mixed feelings about the nail wraps I've tried in the past, but this was Minx. These wraps have quickly become a celebrity favorite, and seem to have a great reputation. 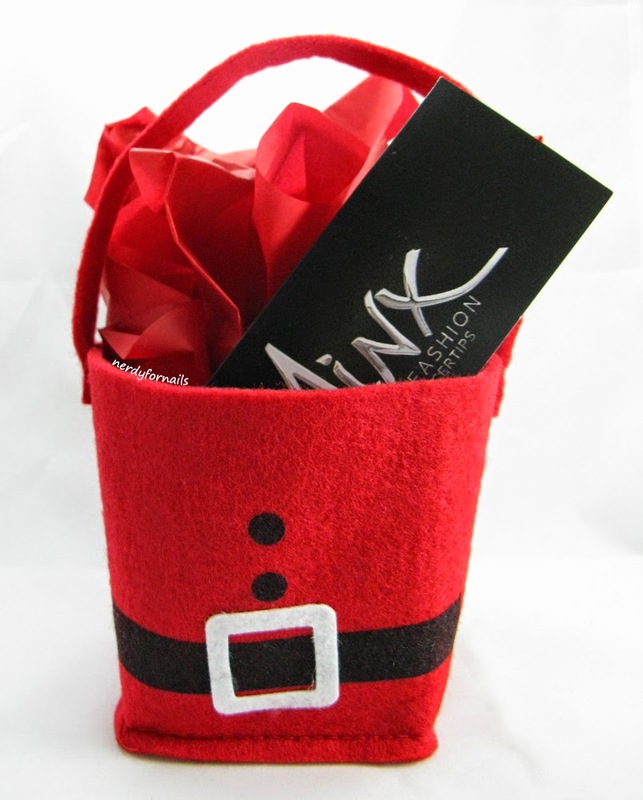 My Minx arrived in the cutest packaging ever and I was excited to try them out. Read on for my full review. I'm sitting here staring at this picture trying to come up with words to write here and the only thing I can think is.. bluuueeeeeeee. To be fair I'm only about 3/4 over the most horrible cold I've ever gotten (at least until the next time I get sick). My brain isn't working so good. Desperate for help I asked my dear husband what this color makes him think of. "Nothing. Why? Is this a trick question?" he says. Sooo helpful. But it gave me something to write about so it actually did help. 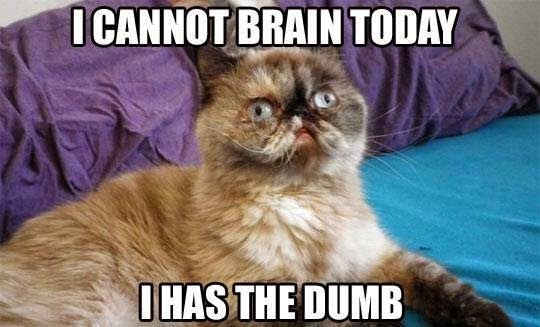 This cat is a good representation of how I feel today. 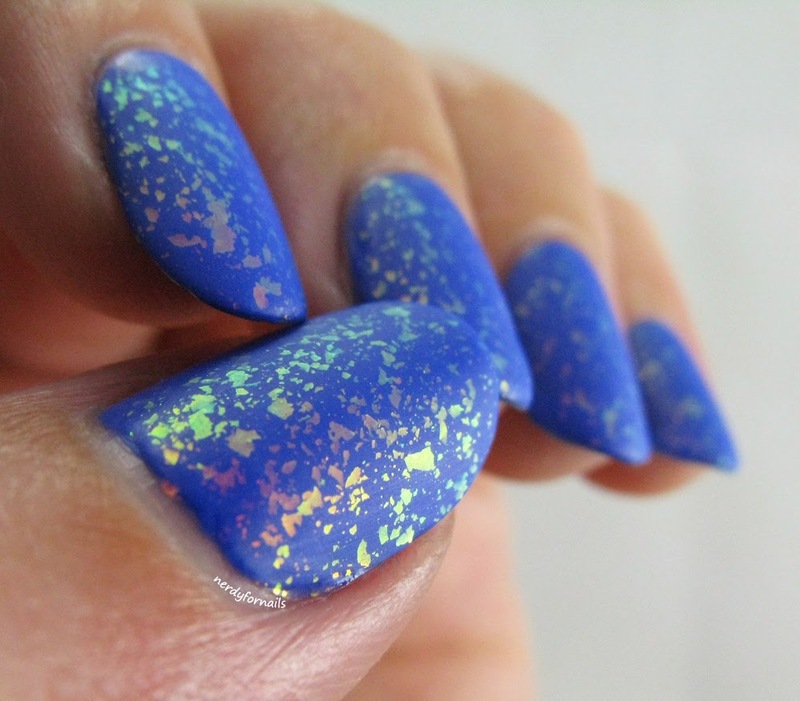 Orly's Sweet Peacock is a beautiful and bright, blue foil. Jewel tones always feel festive to me so I'm going to pretend like I totally planned this for the upcoming holidays and didn't at all pull it out of my file of unposted archives. I've got on two coats plus top coat. 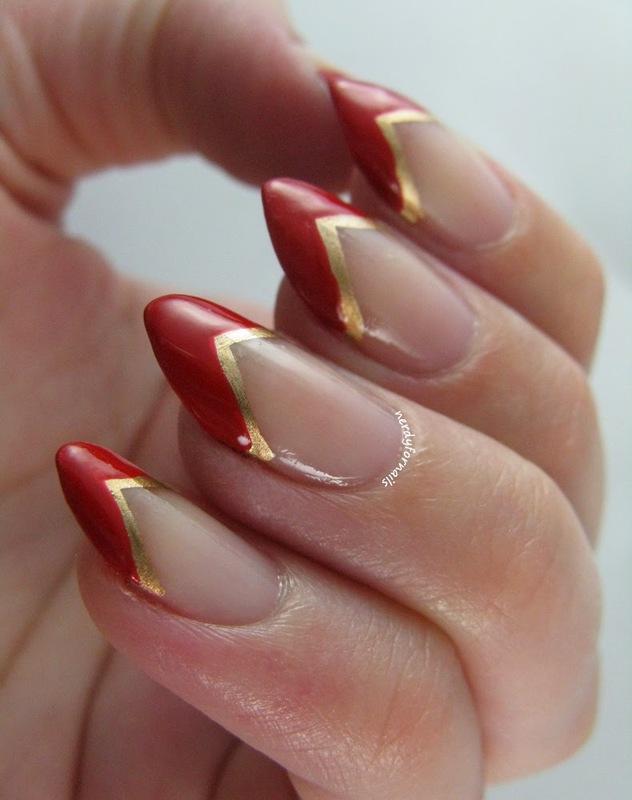 The formula was very nice as I've come to expect from Orly. 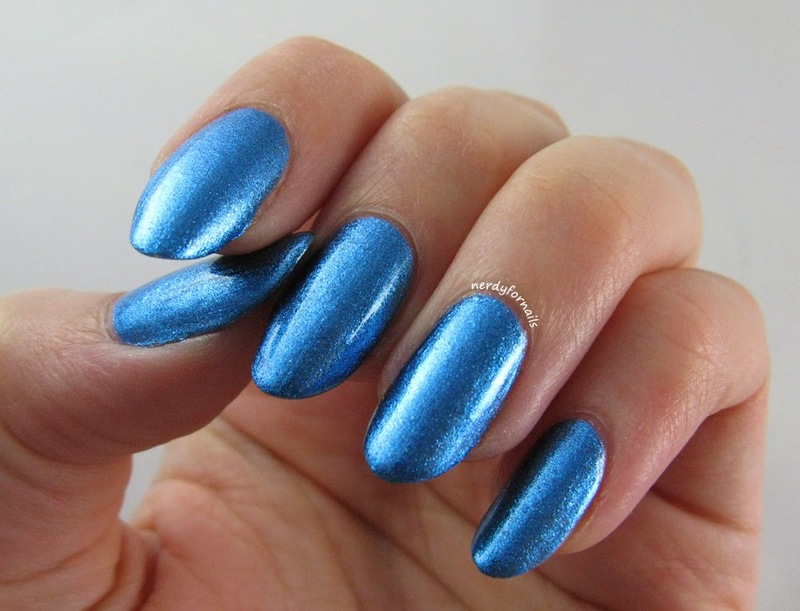 I'm not usually a fan of blue, but this polish won me over with it's shine and slightly sparkly shimmer.